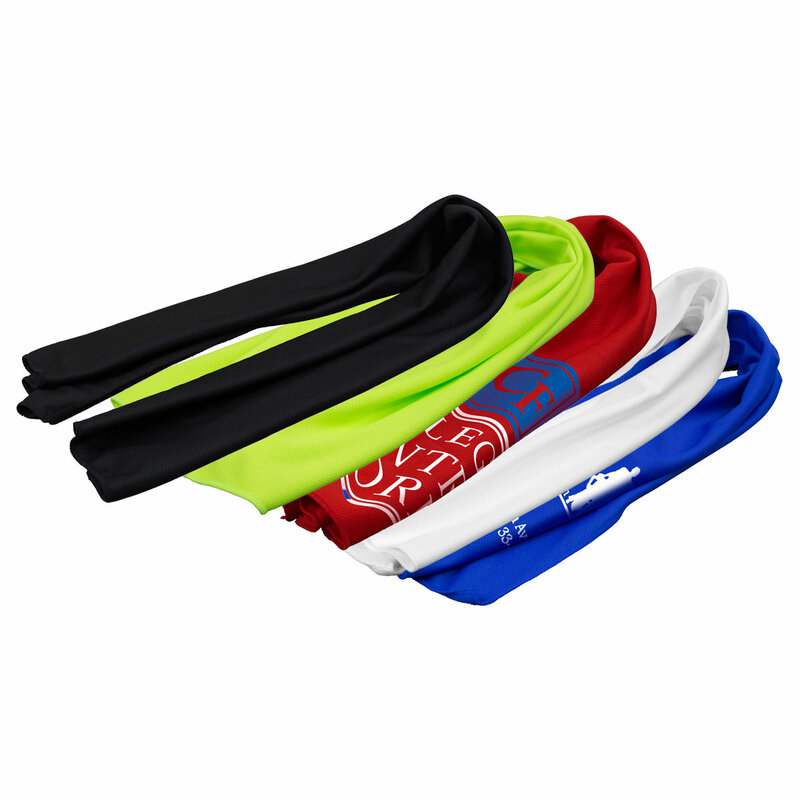 The Rainier Cooling Towel keeps you cooler when working out in the gym or when outdoors playing sports or participating in other activities in the heat. Simply wet with water and wring to activate. The specialized air pocket construction quickly absorbs and retains water better than standard materials, and enhances air flow into the damp cloth creating a prolonged cooling effect. The moisture wicking properties draw moisture away your skin so you stay dry and comfortable. The Rainier Cooling Towel remains dry to the touch. Simply re-wet and wring to reactivate and refresh as necessary. 100% eco-friendly chemical free microfiber polyester construction. Disclaimer: Note: Machine washable but frequent washing may influence imprint longevity. Note: Machine washable but frequent washing may influence imprint longevity.